Music is evocative of times past and can help you reconnect with your loved one that is suffering from dementia. When so many things are changing in the brain of an individual with dementia, one's ability to enjoy and respond to music remains until the end. Your loved one with dementia may not be able to speak, but can sing the words of a familiar song. He may not remember the steps of a dance, but when hearing the familiar rhythm of a waltz, can't help but tap his toes or sway to the beat. Music, like drama, is an extremely powerful stimulus that, when used with intention, can reach beyond the limitations of dementia to ignite the full potential of the person within. 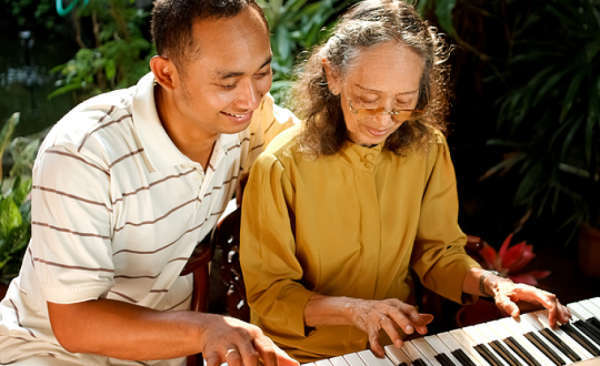 In my experience as a Music Therapist working with families who have been affected by dementia, I often hear statements such as, "my mother isn't the same person she used to be." Or sometimes they say they don't know how to engage or communicate with their loved one now, especially when he or she has difficulty talking or remembering who they are. I have witnessed firsthand the power music has to elicit memory, promote language, and connect loved ones in meaningful and supportive ways. Using music to help increase the quality of life of an individual with dementia is more than giving him an iPod with his favorite tunes and watching his eyes light up. The way music reaches us is strongly based on relationships – the relationship we have to the music and the connections we make with each other when we engage in the music making experience. When choosing music for older adults with dementia, consider the following questions. What was popular when your loved one was in his or her late teens and twenties? What song did your parents dance to at their wedding? What are the songs that your loved one learned at a young age? Did your mother or father ever sing songs to you as a child? Did your loved one have any songs of kin that are important to his or her culture? 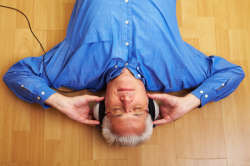 Research suggests that older adults prefer songs that were popular when they were in their prime (i.e. late teens through twenties)1. Also, pieces of music that are connected to emotionally charged times in a person's life are often remembered the most. The reason for this is that emotional experiences are often stored more prominently in our long-term memory. Music is a naturally evocative medium. Some songs or instrumental music may evoke a variety of emotions ranging from happiness, joy, nostalgia, love, or even sadness. It is important to remember there is no wrong way to feel when it comes to music. Sometimes emotionally charged pieces of music might even elicit some tears. This is often a short-term response and should not be a reason to avoid a particular piece of music. If this happens, it is important to validate your loved one's feelings by acknowledging his or her current emotion. For example, you might say, "I see that you have tears in your eyes. Does this music make you feel sad?" Then ask if he or she would like to continue listening or move on to a different song. Have you ever wanted to listen to a song that made you cry? Most of us have. Persons with dementia are not always capable of verbally expressing how they feel, and they sometimes need to release their emotions as a form of catharsis. This is a perfectly natural human response. 1. Sing a simple song. Songs like "You Are My Sunshine" or "Take Me Out to the Ballgame" are often stored in our long-term memory and easily recalled. As I mentioned before, songs that are associated with emotionally-charged experiences are often what we remember most. When you sing with your loved one, make eye contact or hold his or her hands. Even if your loved one does not sing with you, this is a form of communication that can be just as meaningful as having a traditional conversation. 2. Attend a concert. Why not? Did your loved one enjoy the symphony? Big band concerts? Opera? Find a local concert, and make an afternoon of it! From my experience, this can be a meaningful and memorable occasion for everyone involved. Of course, for many people with dementia, getting out to a concert or music performance can be quite difficult, so why not bring the concert to them! There are many video recordings available of orchestral performances, musicals, and other music events for you to stream on demand or rent for free at your local library. Just remember to stay engaged with your loved one. You can talk about the music, hold his hand, tap the rhythm together, or even takes turns being the conductor! 3. Play an instrument. Do you play an instrument? Do you know anyone who does? Play live music for and with your loved one. Grab a small drum or percussion instrument, and have him play along, tap his feet, or clap to the beat. In a pinch, common household items such as spoons or chopsticks can work great as percussion instruments. 4. Listen to a favorite piece of music. While I often prefer live music, it's perfectly all right to listen to recordings of music. Just remember to stay present, observing your loved one and reacting in the moment as you both listen. 5. Dance or just move to the music. It doesn't matter if you're waltzing across the floor or holding hands and dancing in your chair. Dancing is a great way to make a positive connection with your loved one because moving to music engages the whole body. You can dance with just your hands, nod your head, or simply tap your feet. There's no wrong way if it makes you feel good! And if you don't feel like dancing, marches and patriotic tunes are great way to get you and your loved one moving his feet or tapping his toes. Some of the most well received pieces of music for older adults are patriotic songs. These pieces are often connected to important moments in their lives, the pride they have for their country or serving their country, and the strong rhythmic pulse that many of these songs have. 6. Sing a lullaby. At the end stages of dementia individuals are often in bed most of the time, frequently experiencing pain or fatigue. However, music can be used to soothe your loved one at this stage. Almost any song can be turned into a lullaby by simply slowing it down. You'll want to watch for signs of agitation, such as a furrowed brow or wincing. Gentle touch combined with music can also be comforting during this stage. Music has the power to reach beyond the symptoms of dementia to the person within. Your loved one may seem different than the person you've known all your life, but look beyond the disease. The person you remember is still there. He may not have the ability to drive a car or get himself dressed in the morning, but he can experience music. Maybe he can still sing. Maybe he can still dance. Or maybe he or she can just simply listen and feel the music they love. Music is a great way to connect and engage with your loved one with dementia, and these suggestions are a great start. Music also has the ability to ease anxiety and other mood disorders. If you would like to go beyond what you can do, then consider bringing in a Board-Certified Music Therapist for treatment. Music Therapists can address a variety of needs for this population such as decreasing agitation, physical and cognitive rehabilitation, decreasing pain perception, increasing quality of life, and providing emotional support and coping, particularly at end of life. 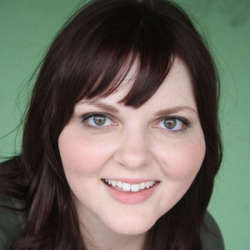 You can find a music therapist near you by going to http://www.musictherapy.org/about/find/.